Madeira, Portugal – The name just has a wonderful exotic ring to it. Located in the Atlantic Ocean, off the African coastlines of Marocco, Madeira has two main populated islands: Madeira itself and Porto Santo. The Desertas Islands are also part of the archipelago; they are, however, not inhabited and a designated nature reserve. The Savage Islands also form part of the Macaronesian archipelago and have been a nature reserve since 1971. The largest city in the islands is Funchal on the island of Madeira; it is the capital of the region and a popular tourist destination. 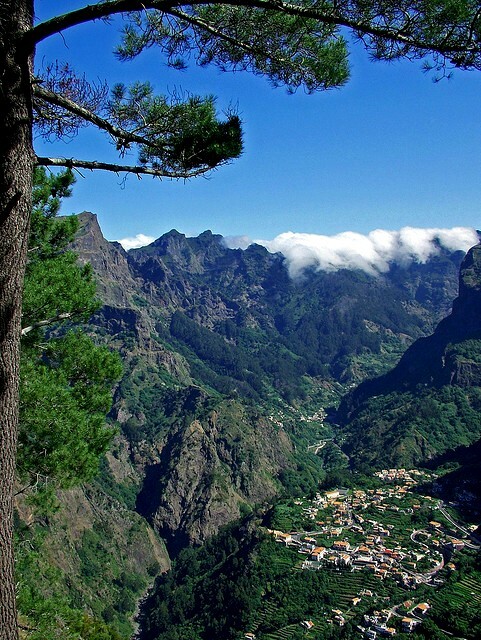 The island of Madeira is easily reached from various European destinations, but it is much less well-known in North America. The weather in Madeira is almost ideal: it has a mild Mediterranean climate with average high temperatures that are between about 20 and 26 degrees Celsius (about 65 to 78 degrees Fahrenheit). The warmest months are June to September, but even in the other months, the temperature rarely dips below 20 degrees. Depending on the location and exposure, Madeira has many microclimates, from desert-like conditions to rather humid and wet locations. 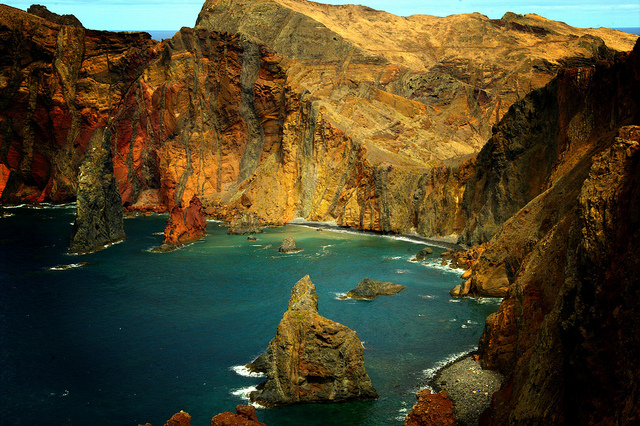 Being of volcanic origin, Madeira Island has some fantastic landscapes. Sitting at the top of a huge shield volcano, Madeira itself features very high, rugged mountains and its highest peak has an altitude of 1,862 metres while the mountains on the island of Porto Santo are much lower. Madeira is not a destination for beach lovers, but the island of Porto Santo has a 9 km long and sandy beach. 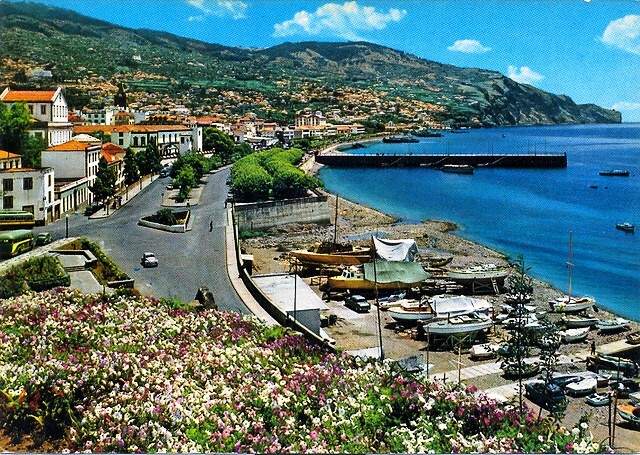 Funchal is the largest city on Madeira Island and has a myriad of interesting sites. 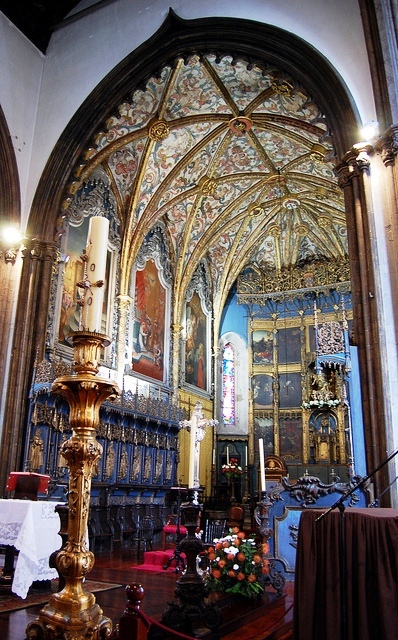 Magnificent historic architecture can be admired at the Sé Cathedral, Sao Lourenco Palace, the Santa Clara Monastery, the Igreja de Nossa Senorha do Monte church and many other places. 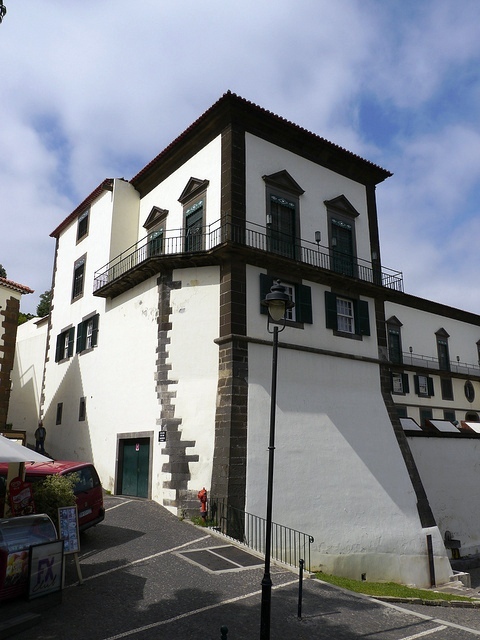 Funchal has a wealth of colonial architecture that was mainly built between 1400 and 1800. Funchal and the surrounding areas also have some outstanding tropical gardens that are a must-see for flower enthusiasts. The Madeira Botanical Gardens display rainforest orchids, desert cacti, dragon trees, South African proteas and much more. The Monte Palace Tropical Garden boasts all sorts of tropical vegetation as well as two oriental gardens. 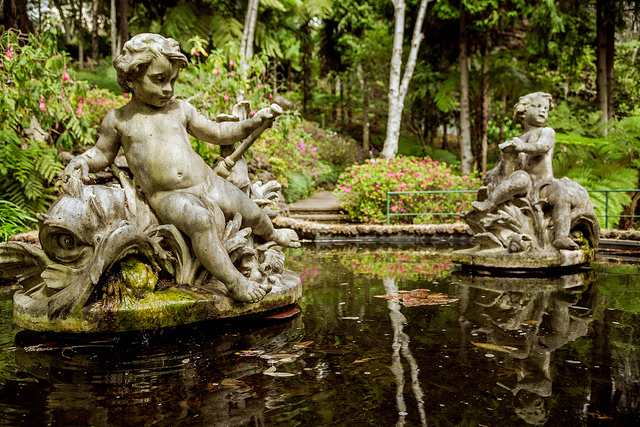 The Jardins do Palheiro feature interestingly shaped topiaries and a large collection of camellias in every colour. 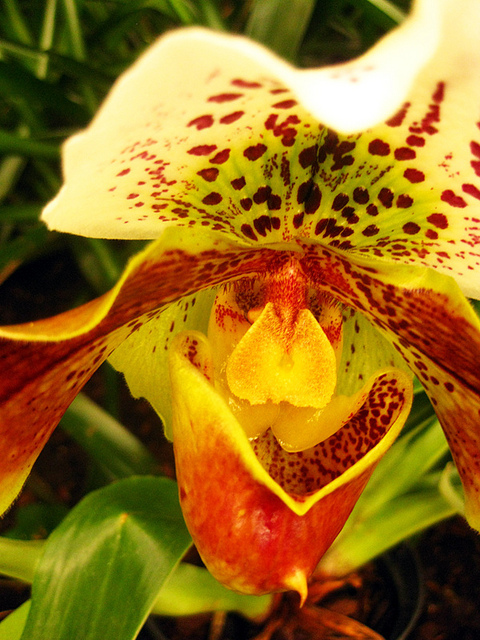 Just a 20 minute walk from downtown Funchal, the Quinta da Boa Vista is a spectacular orchid garden that showcases many other tropical plants as well. 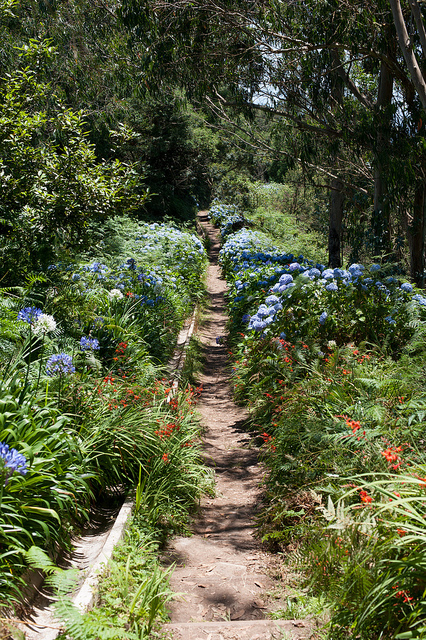 Plant lovers will be astounded by Madeira’s magnificent vegetation. The Mercado Dos Lavradores in Funchal is a historic market building where farmers, fisherman, flower growers and basket weavers from all over the island display their merchandise. It’s an extremely lively and colourful place and brings you up close with the locals. 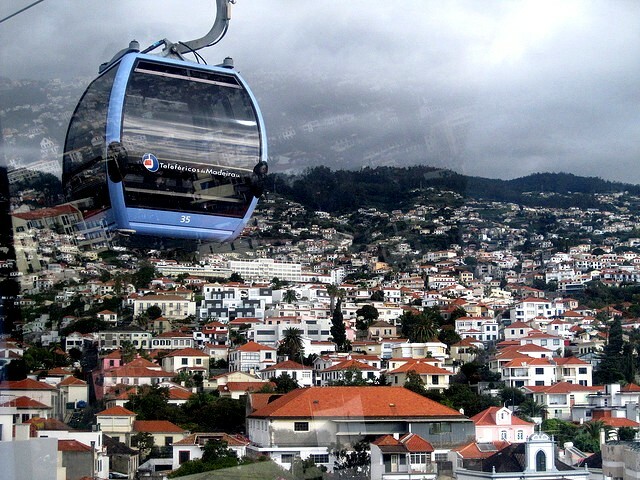 One of the really unique experiences in Funchal is a ride on the Monte Cable Car which has evolved from an old-style rack railway into a modern high-tech cable car. From the top of the Monte Hill you will have a magnificent view over Funchal. 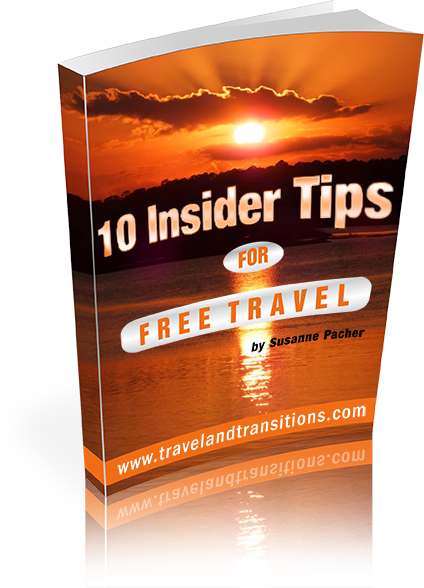 In addition to sight-seeing there are a great many things to do in Madeira, Portugal. Among the unique activities on this island are the Levada Walks, which will take you through the aqueducts that were built throughout the island between the 1400s and the 1940s. These irrigation channels were originally used to carry water to the agricultural areas of the island, and today they make up a great network of walking paths through dramatic landscapes. The levada network extends about 2500 km, is still in use today to irrigate vineyards, orchards, vegetable gardens and banana plantations and provides power for various hydro-electric power stations. Another completely unique endeavour in Madeira, Portugal are the Monte toboggan rides where you get to ride from the top of the Monte Hill down on winding streets into Funchal. 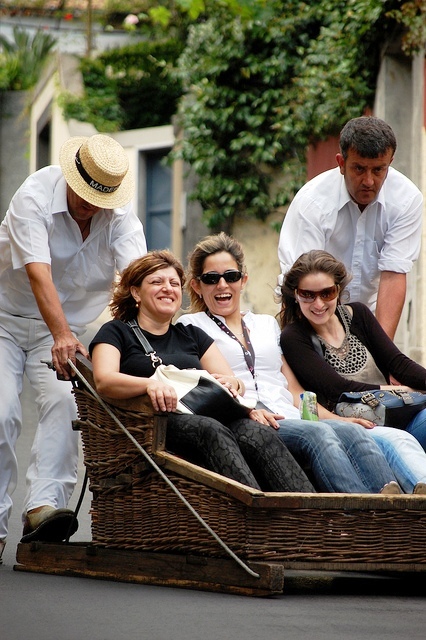 The wicker toboggan sledges first came into use in the 1850s and made for a quick way of getting into town. It takes about 10 minutes to get down the hill and the sledges reach speeds of almost 50 km/h (30 mph). Other outdoor activities in Madeira include golf on one of several golf courses which offer absolutely stunning views of the island and the ocean. Paragliding is another unique endeavour that is feasible in the mountainous environment of Madeira, Portugal. The Sao Vicente Caves and Volcanism Centre provides interesting insights into the island’s geological past. Horseback riding is also a favourite activity in Madeira. Being located in the middle of an ocean, the cuisine of Madeira is heavily based around seafood. The most commonly available types of fish are various species of tuna, marlin, spearfish and many others. Bacalhau (dried and salted codfish) is also widely eaten here. The most popular meat dish in Madeira is called Espeteda which consists of large chunks of beef that are rubbed with salt and garlic, marinated in a wine and vinegar mixture and then grilled on a skewer. Pork, sausage and squid are also similarly prepared. Madeira wine, a fortified wine that can be sweet or dry, is the most famous beverage here. Madeira, Portugal, is a dream destination for many. With its breathtaking landscapes, perfect climate, delicious cuisine and outstanding recreational possibilities, it might just offer that perfect sub-tropical getaway.